Oh my – I feel like such a dummy, but as I delve deeper into this crafting hole that I love – I keep coming across things that I just don't know. Things like – what is a fat quarter of fabric? Recently Cricut had a huge fabric sale, and I jumped all over that, but I had no idea what I was doing. So, I purchased a Cricut Maker machine about a month ago. This article explains what a Cricut machine is and what it does, but the short version is that it is a precision cutting machine that is capable of cutting fabric. Now, because I am a beginner – I don't have much fabric in my collection of craft supplies. Which is why I picked up a few cheap craft supplies at an after holiday sale here. And it is also why I went a little crazy over the recent Cricut fabric sale. The prices were so good that I just added random items to my cart willy nilly – because I hadn't yet planned out a project. Two of the things that I got were the stacks of fat quarters shown in the photo below. The one pictured above I bought at Walmart of all places. (And if you are wondering – the surface underneath is the Cricut self healing cutting mat). When I bought these, I actually had no idea what a fat quarter of fabric was exactly – but I figured it looked like a good amount of fabric to get started. They have a really nice substantial feel to them, and I suspect that they are a high thread count, though they don't say. Anyhow, back to the fat quarter thing. 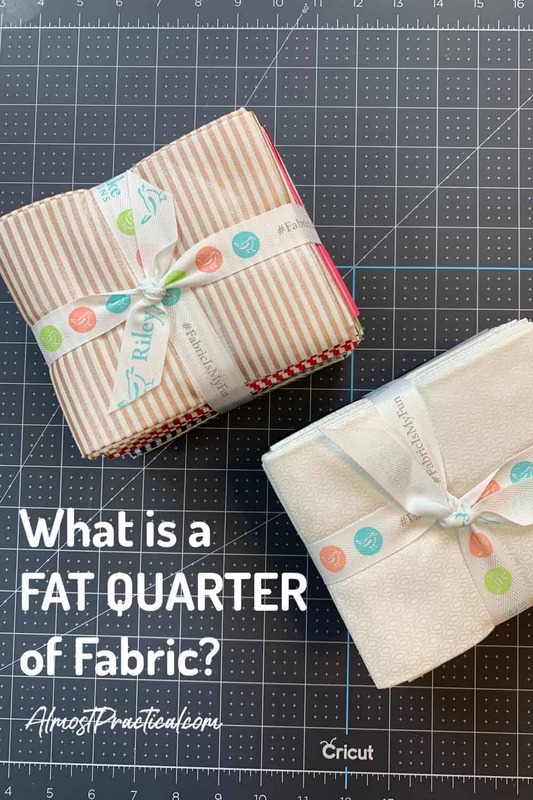 I actually came across this fantastically thorough article at The Spruce Crafts blog that explains what a fat quarter of fabric is – complete with diagrams. Basically it is one quarter of a yard of fabric, if that yard were cut into four squarish sections – as opposed to four long strips – if that makes sense. (the article on the Spruce blog has the visuals). Typically, a fat quarter of fabric will measure about 18 inches by 22 inches. The theory is that you get more workable area on your fabric, especially if you are a quilter. This has to do with the way the selvage runs and the resulting stretchiness of the grain. 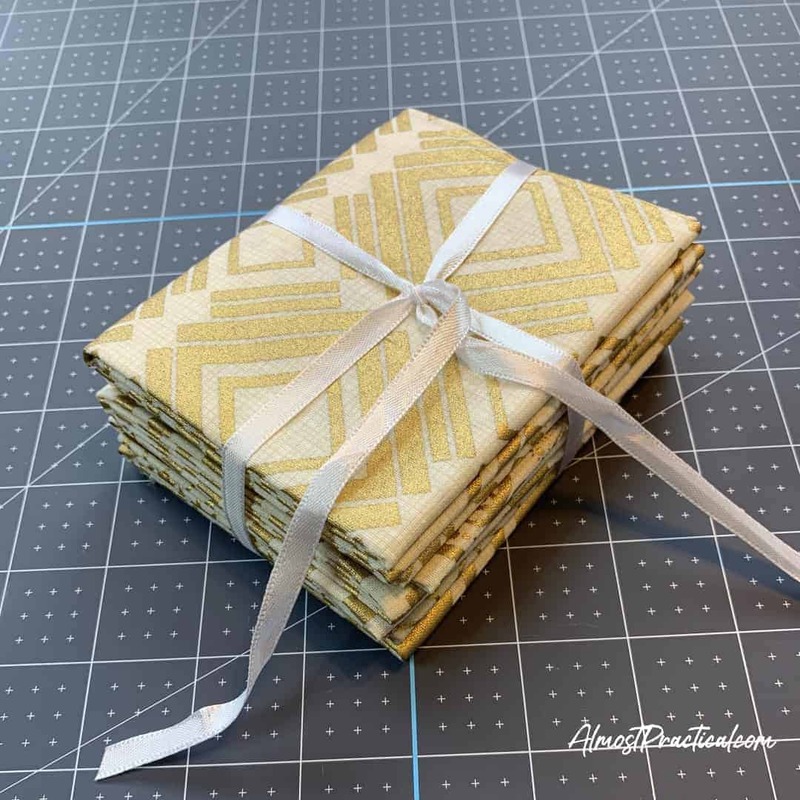 In fact, this article – also on the Spruce Crafts blog – explains the different fabric grains and things you should know about them if you are a quilter. 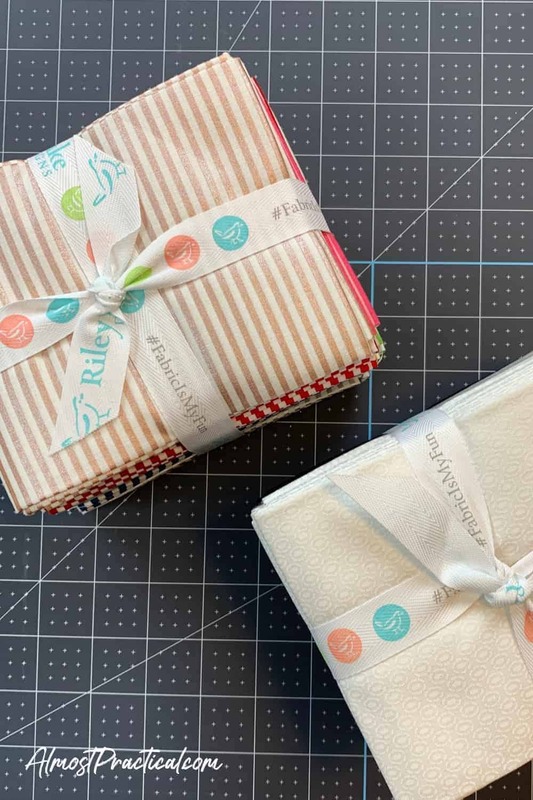 I didn't tell you this earlier, but in addition to those fat quarter stacks – I also bought a Riley Blake quilting kit during the Cricut fabric sale. Naïve soul that I was. 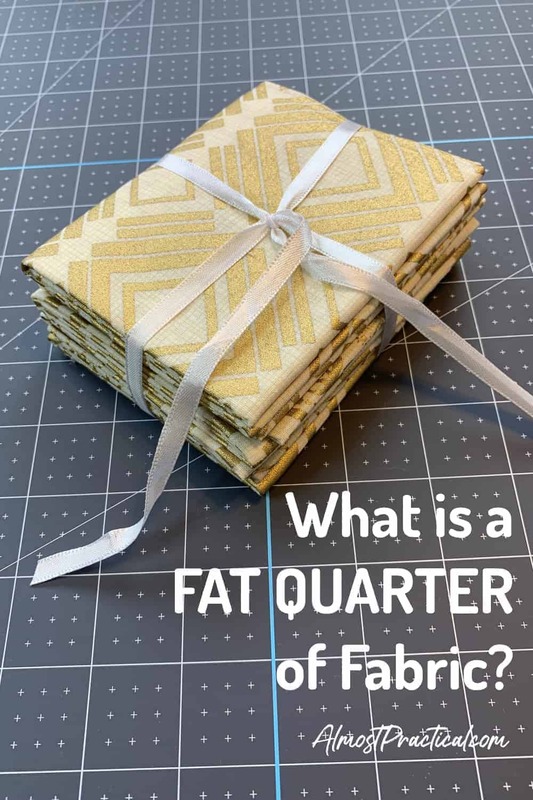 I then watched this video about binding a quilt, that completely opened my eyes to concept of selvages and fabric grain, which then led me to learn about what a fat quarter is exactly. In the meantime, at least I now know what a flat quarter of fabric is – which I think is a pretty good place to start. I'll go with an 18 inch by 22 inch rectangle of fabric with a selvage on the short side as my explanation.